A variety of optical and electro-optical instruments are used for both diagnostic and therapeutic applications to the human eye. These generally expose ocular structures to either coherent or incoherent optical radiation (ultraviolet, visible, or infrared radiation) under unique conditions. We convert both laser and incoherent exposure guidelines derived for normal exposure conditions to the application of ophthalmic sources. a Table 2 is a chart that covers representative instruments and key characteristics that would influence the potential hazard and the exposure at each of the three planes of concern. b The maximum cumulative time is given in square brackets. d SLO, scanning laser ophthalmoscope. The SLO beam focal spot is the retina but the highest averaged irradiance at the nodal point. e Exposure durations apply to the time of exposure on the same tissue location. λ = 315–400 nm HUV-A = 1 J/cm2 for t < 1000 s and EUV-A = 1 mW/cm2 for t ≥ 1000 s Total UV irradiance limit to protect cornea and lens tissues; no spectral weighting; 1-mm aperture for irradiance averaging. λ = 180–400 nm EUV = 0.1 μW/cm2 (8 h). EUV = 0.4 μW/cm2 (2 h) S(λ) spectrally weighted irradiance for cw sources used for lengthy or repeated exposures based on a maximal 2-h or 8-h exposure; 1-mm aperture for irradiance averaging. (single or multiple pulses) λ < 400 nm HUV = 3 mJ/cm2 For pulsed sources in which the total integrated S(λ)-weighted radiant exposure should remain below the limit for the maximal number of daily exposures; 1-mm aperture. λ = 305–700 nm LB = 2 mW/(cm2 sr) for t > 10,000 s, or LV = 1 cd/cm2 external Radiance of light source spectrally weighted against the aphakic A(λ) or phakic B(λ) function based on t > 10,000-s exposure. Expressed alternatively as a luminance limit for a white-light source Hr = 2.2 J/cm2 or Er = 0.22 mW/cm2 for t > 10,000 s; or 0.3 mW/cm2 for t = 2h A(λ) or B(λ) weighted Retinal radiant exposure or irradiance for light source spectrally weighted against the aphakic A(λ) or phakic B(λ) function. Basic limit assumes 0.9 maximum transmittance of the ocular media and t > 10,000-s exposure. Averaged over 1.75 mrad or 30 μm. a In cases in which spectral weighting is noted in the Comments column, more complex spectroradiometric measurements are needed for a rigorous measurement. Pulsed sources L = (5/α)t−0.25 W/(cm2 sr) or 50 t−0.25 W/(cm2 sr) for sources where α > 0.1 rad and for t < 10 s. Applied to pulsed-light sources to protect against retinal thermal injury; R(λ) spectrally weighted radiance per pulse, or L = 50 t−0.25 W/(cm2 sr) when α > 0.1 rad. Assumes that pupil diameter constricts from 7 to 3 mm between 0.25 and 1.0 s.
λ = 380–1400 nm At the retinal plane, Etherm = ΣEλR(λ)Δλ ≤ (0.6/α) t−0.25 W/cm2 or Etherm = (10/dr)t−0.25 W/cm2. 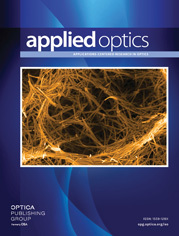 Applied to pulsed-light sources or very brief exposures expressed as a retinal irradiance. The angular subtense is expressed in radians. The retinal image diameter dr is in millimeters. Continuous sources Lttherm = 6 W/(cm2 sr) for dr > 1.7 mm. Therefore, for smaller dr, Retinal radiant exposure or irradiance, R(λ) spectrally weighted, basic limit assumes 0.9 maximum transmittance of the ocular media. λ = 380–1400 nm Etherm = 0.7 W/cm2 for t ≫ 10 s and dr > 1.7 mm. Etherm = 1.2/dr W/cm2 for t ≫ 10 s and dr < 1.7mm Lengthy exposure limit was based on near-IR limit for large retinal image areas. Retinal image diameter dr is expressed in millimeters. λ = 770–3000 nm Ec = 1.8 t−0.75 W/cm2 for t < 20 s. Ec = 0.1 W/cm2 for t > 20 s. cw exposure based on corneal heating of small, local areas of the cornea and lens for periods greater than 45 s and at least to 1000 s; 1-mm aperture for averaging irradiance. λ = 770–3000 nm H = 1.8 t0.25 J/cm2 Total radiant exposure for pulsed source or from any exposure up to 45 s.
Convergent-beam anterior-segment (λ = 380—1400 nm) E = 25 t−0.75 W/cm2 for pulsed sources t ≤ 10 s. E = 4 W/cm2 (i.e., 32 mW in a 1-mm-diameter zone) for cw sources. New limit with no spectral weighting and 0.5-mm aperture for irradiance averaging for pulsed sources; and 1.0-mm aperture for irradiance averaging for cw sources. Higher irradiances up to 20 W/cm2 could be used under controlled conditions for t < 1000 s.